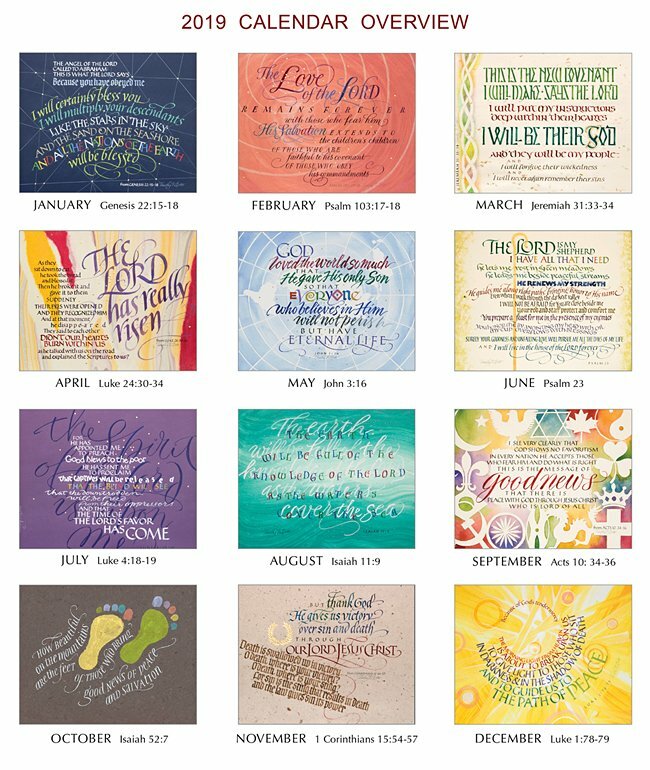 Brand new beautiful calligraphy for each month. Includes Artist Notes explaining Tim's creative inspiration for each image. 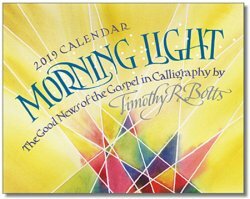 Through his expressive calligraphy, Tim grants us the gift of seeing the Bible through his unique eyes of faith. In the process, he gives us a more creative understanding of the Good News of the Gospel.